This unit is OBSOLETE AND NO LONGER AVAILABLE. 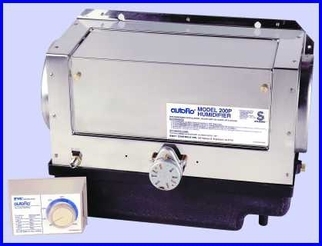 The Model 200P bypass humidifier offers the flexibility of easy installation on either warm air supply or cold air return on any forced air furnace. Comes with low voltage transformer and humidistat.